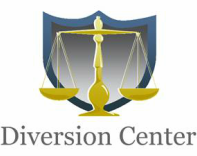 _We provide alcohol and drug classes to meet your court or probation requirements. Classes are held in a pleasant, nonjudgmental environment that allow you address issues and share your experiences. Our objective is to provide you with a informative class that will keep you engaged and not bored out your mind. These courses are sometimes used by your attorney for plea negotiations for pre-trial diversion. Your employer or probation officer might require you to take these courses due to a failed drug test. Under certain circumstances one or more of these classes may be required by state law to retain your driver license. With all of this being said, we look forward to working with you to help you achieve your goals.